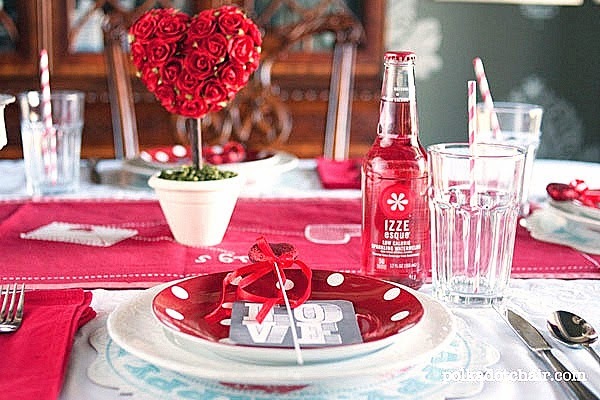 Planning a romantic dinner or special brunch for someone special this Valentine's Day? 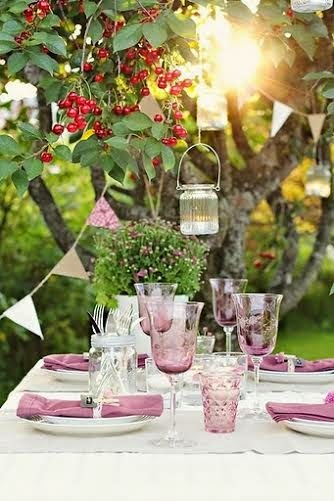 Here is a collection of beautiful and inspiring tablescapes, along with some easy tips on how you can create a tablescape that sets the mood for love. 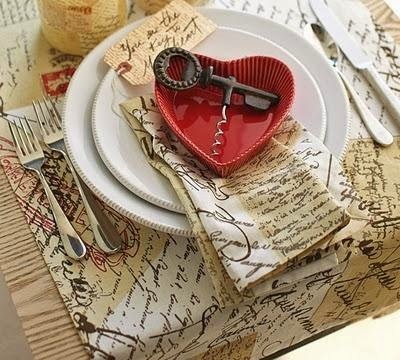 Just like in fashion, the secret to creating a beautiful and "well dressed" table for your sweetie is all about layering. Attempt to layer different textures and complimentary colors. Don't be afraid of mixing colors and patterns. 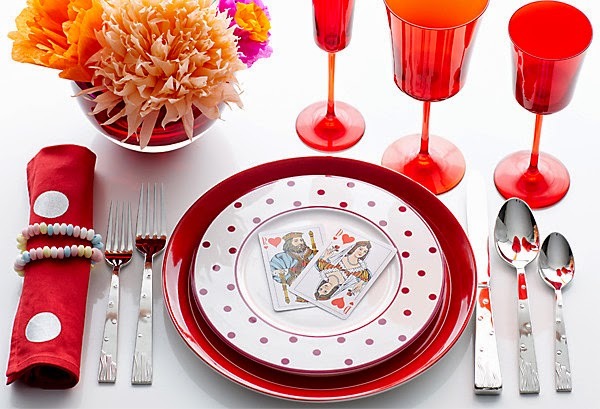 These are the elements that can really bring your tablescape to life. 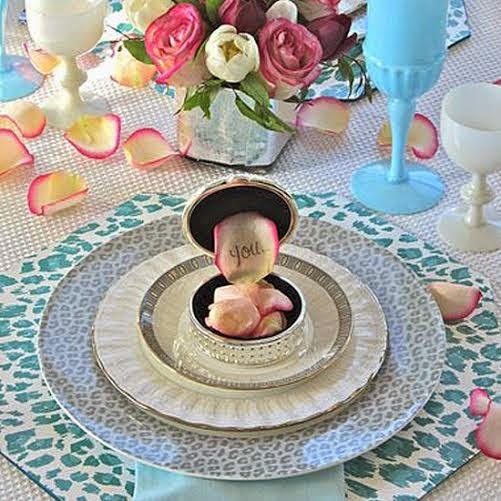 Creating interest with layers for your tablescape can be done in many ways: You can layer using placemats, linen napkins, patterned tablecloths, and even patterned china, colored glass and brass elements. 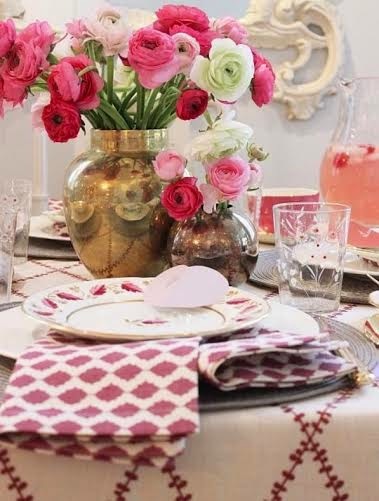 Layering in these ways adds tons of visual interest, depth and a sense of cohesiveness to your tablescape design. When in doubt if something can work well together, stick to one or two colors and you can't go wrong. Keep It Casual. Keep It Simple. 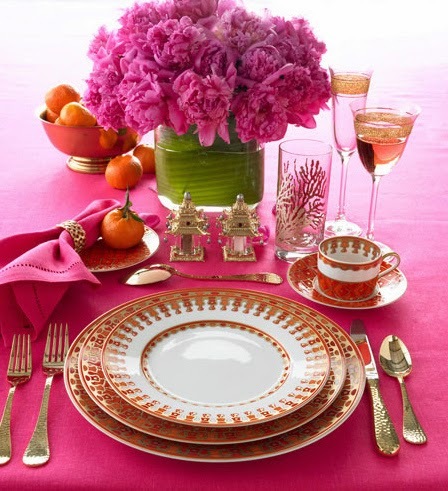 Keeping your table settings more relaxed, clean and simple can help set the tone for the whole evening. You can, for example, fold your napkins very casually and place them between the salad and dinner plates so that they look gracefully undone. 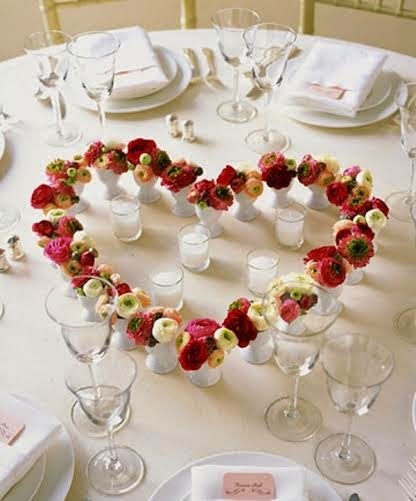 Or throw a few loose rose petals on the tablecloth for a splash of color. 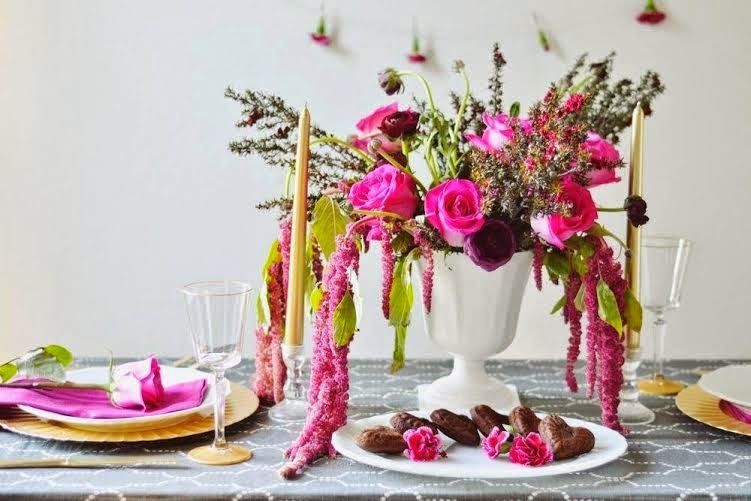 Get creative and build a simple centerpiece by using things that you already have, like pretty bowls or elegant vases. They create height on the table without being overbearing for your special guest(s). Remember, you need to be able to see one another! Less is more and will always appear more elegant. Always look to nature for inspiration. Fresh flowers and greenery complete any tablescape with an inviting and sophisticated look. Nothing shows you care more than adding a personal touch. It is thoughtful, playful and always appreciated. 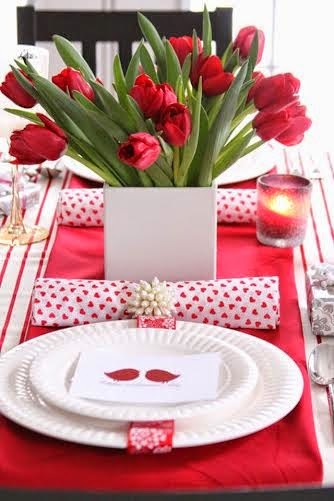 Adding a personalized place card or incorporating your valentine's likes and interests into your tablescape is a sure way to help you get deeper into your valentine's heart. Experiment and have fun with it! Nothing sets the mood for romance quite like candles. Always try to incorporate candlelight in the creation of your tablescape. People feel more at ease in dim lighting. Candlelight is always flattering, no matter what the situation, it creates warmth and ambiance. Wishing you all a LOVEly Valentine's Day!